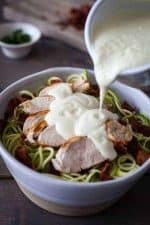 This chicken Paleo alfredo bake recipe is both gluten-free and dairy-free. I’m so happy to finally be able to eat chicken alfredo now with this recipe. I can’t eat dairy and gluten. But I can eat this! Creamy + Chicken + Lots of flavor? I’m in! Every time I find myself craving some comfort food I make a big batch of this Paleo Alfredo. Not only is it one of the easiest recipes I’ve ever made but it’s also so incredibly delicious and jam-packed with flavors. The secret is the ultra-creamy sauce. While it looks like it came out of a can, it’s actually made with cauliflower! The result is this silky soft sauce that’s the perfect Paleo Alfredo topping. Here are some tips, substitutions, adaptations, etc. I also like to cook just the alfredo sauce by itself and then freeze most of it for later. It’s the best addition to sweet potatoes or to add as a cauliflower pizza topping. However, my favorite is by itself served with some cauliflower risotto and veggies. I often add mushrooms to the frying pan. Yum. . . If you want crispy bacon, add it at the end instead of while baking. You could serve it over something besides zoodles, such as cauliflower risotto, regular pasta (if you eat that sort of thing), mashed cauliflower or spaghetti squash. I often add some seasoning to my chicken, such as Italian seasoning, garlic powder and cayenne pepper. Make sure not to overcook your chicken in the pan, because it will get cooked more in the oven and you don’t want it overcooked and dry. It’s important to let the chicken rest so it doesn’t dry out from getting cut too early. However, you can start making the sauce before the chicken is totally done cooking. I have only tried this with almond milk, but I bet it would work quite well with canned coconut milk as well. 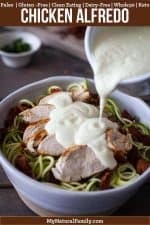 This cauliflower Alfredo sauce is so good and it really helps to pull together the chicken, bacon and zoodles. So simple and so good! Place the spiralized zucchini in an 8×8 or 9×9 baking dish that has been lightly greased. Set aside. Heat a frying pan on medium high and add the bacon. Cook the bacon on both sides until crisp. Remove bacon and set aside. Coat both sides of the chicken breasts with salt and pepper. Add the chicken breasts to the same pan the bacon was cooked in. Cook chicken on both sides until deep golden brown and cooked through, about 4-5 minutes per side (depending on how big the breasts are). While the chicken is cooking, chop the bacon. When the chicken has finished cooking, remove from the pan and place on a cutting board to rest while you make the sauce. Pour 1/2 of the fat and juices in the frying pan into a blender(preferably a high speed blender), and discard the rest. Place the cauliflower, onion, salt, garlic, and chicken broth in a saucepan and cover with a lid. Heat on medium high and steam the mixture for 5 minutes, or until the cauliflower is soft. Add the contents of the saucepan to the blender and pour in the almond milk. Blend on high speed until the sauce becomes smooth and creamy. Taste the sauce and add more salt and pepper, if needed. Sprinkle the chopped bacon over the zucchini noodles. Slice the chicken and place the slices on top of the zucchini noodles. Pour the sauce over the noodles and chicken, covering the entire dish. 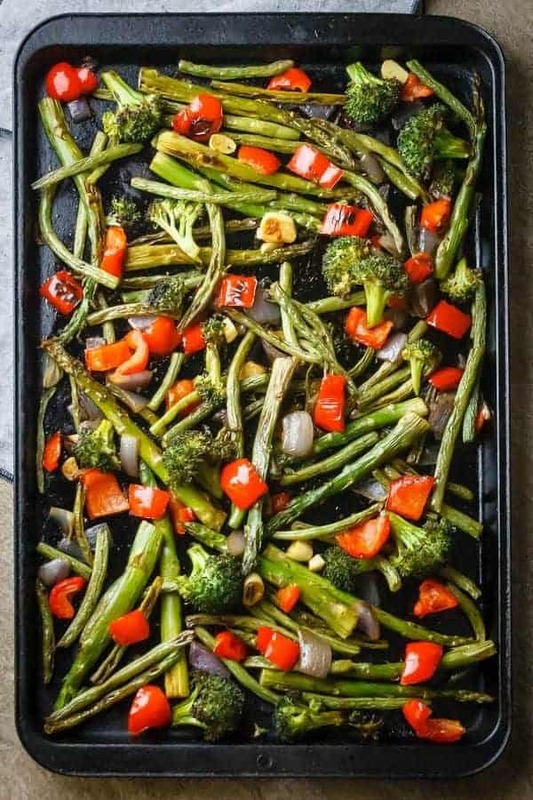 Heat the oven to broil. Place the dish on the middle rack and cook for 10-15 minutes, or until the sauce is hot and bubbling. The zucchini noodles should be heated through, but not cooked to the point that they start releasing all their liquid. If the zucchini does heat to the point that there is liquid in the bottom of the dish, carefully drain off before serving. Sprinkle the chopped parsley over the top of the bake and serve. I often add seasoning to my chicken, such as Italian seasoning, garlic powder and cayenne pepper. Love a good Alfredo bake!! This looks so yummy. This was soo good! I did make a few tweaks though. First I cooked the onions and garlic down in the bacon fat before adding the cauliflower. Then instead of almond milk I used full fat coconut milk and a little bit of ghee. I also added a whole bunch of spices including garlic powder, nutritional yeast, oregano, basil, and parsley. Magnify!!! I love all the ideas for your tweaks, especially the spices. 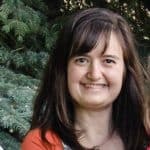 It sounds good and I’m sure other readers will appreciate your comment too! This was yummy after reading the reviews and your suggestions for additions. I used precooked bacon so I fried it along with my mushrooms and a little olive oil, then poured that into the sauce. I also added Italian seasoning to both the chicken and the creamy sauce and it bumped up the flavor level. Very delicious and easy to make! Mushrooms! What a wonderful idea. They make everything better. And Italian seasoning. I’m so glad you liked it! Unfortunately, I found this recipe to be very bland, and not similar to Alfredo whatsoever. Quite disappointing. Sorry you didn’t like it. Really, it only looks like Alfredo and can be used like Alfredo, but there’s no way it can taste like Alfredo with Paleo ingredients. Maybe if you try it again, you could try my suggestion of adding seasoning, such as Italian seasoning, garlic powder and cayenne pepper. Then at least it will have more flavor. Recipe looks great. Just a question though. Can you use frozen cauliflower florets for the sauce or would it turn out watery? I’ve made cauliflower rice with frozen cauliflower and it turned out just fine. I can’t say for sure but I’d suggest you try it and let me know how it turns out. I love zoodles, maybe I’ll have to try this. I never cook mine at all. I just spiralize them and put the rest of the meal on top of the zoodles and the heat from the meal warms it up enough for me. I’ve tried cooking it and I like it better raw.